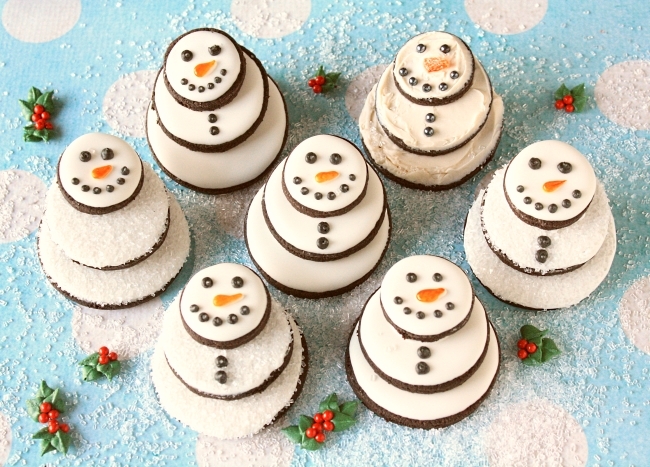 I have been wanting to make these snowmen ever since I saw an overhead view of a snowman somewhere on the internet while doing "research." Let them dry overnight. Then add a face on the smallest circle. Try to do a cute one, because if you make a scary one then you will probably have to eat it. And eating heads is a little weird. 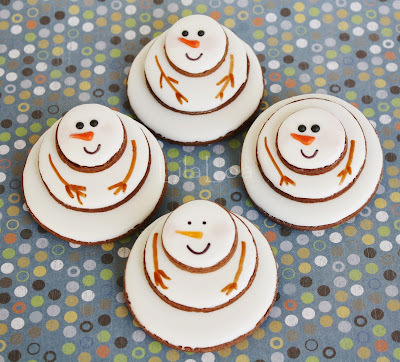 Use thick icing to stick these guys together. But don't use too much because you don't want it to squish out. 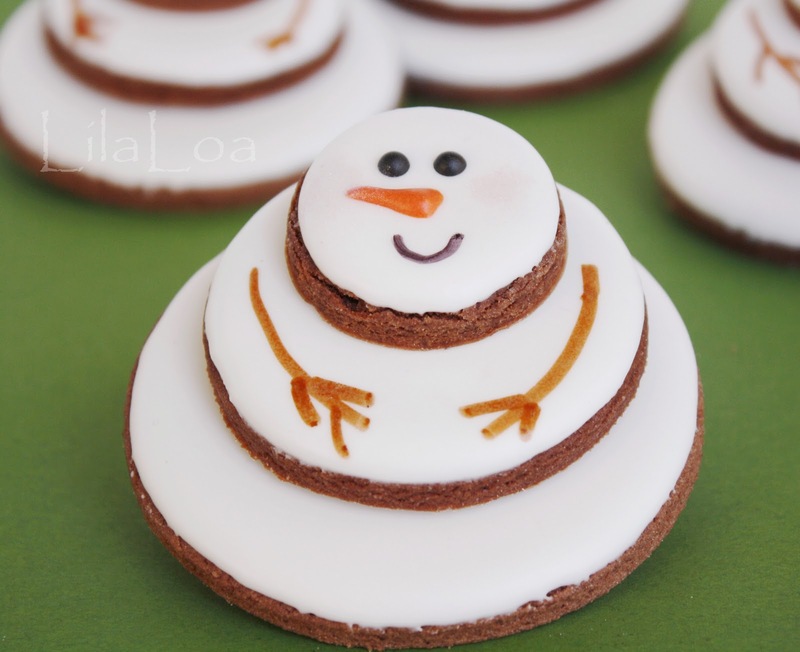 You can choose to either center the cookies on top of each other, or line them up against the back. I think I like the ones that are lined up against the back. They seem less...squatty somehow. Arms. This is the point where I changed my mind. I was going to use icing. But I got tired and didn't want to make any. I was tuckered out from all that research. (You know how it is.) So I used a brown food marker instead. AND THEN... I got this great idea. I should have been using food markers the whole time. If you use a knife to spread the white icing on these guys, you wouldn't have to pipe a thing. Then you could use the time you would have spent filling icing bags/bottles to do some more research.